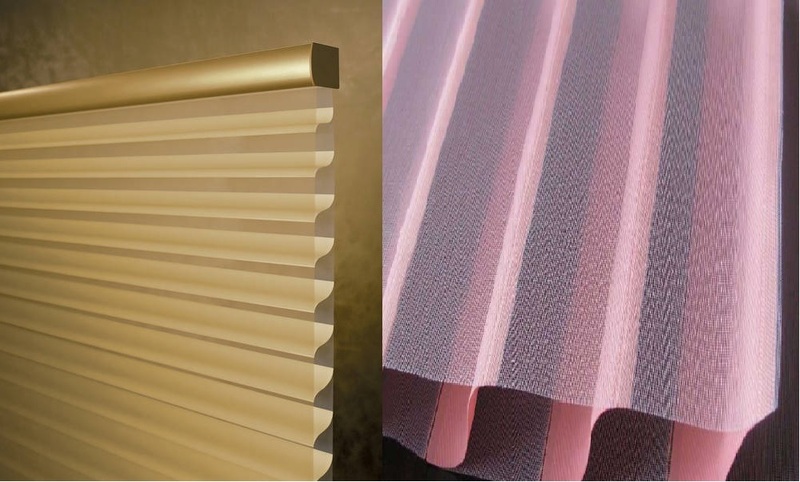 Triple Shades close the gap between Venetian Blinds and Curtains in a truly unique design that features fabric slats suspended between two sheer fabric facings for complete light control and privacy. 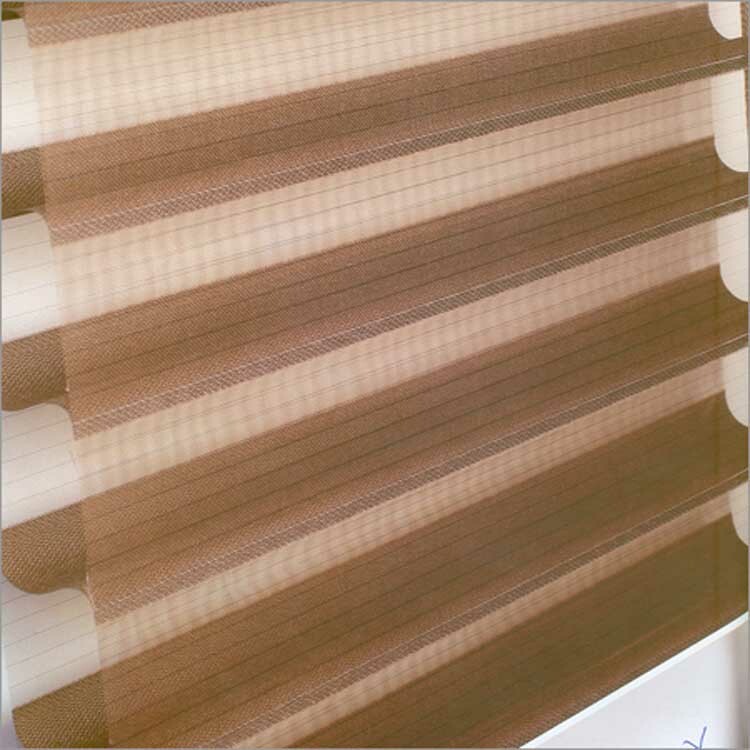 The shadings can be opened for a soft view, closed for complete privacy or tilted for flexible light control. 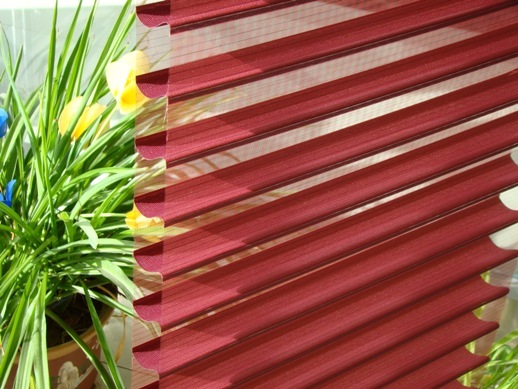 They are durable and easy to clean because of the use of antistatic fabric. 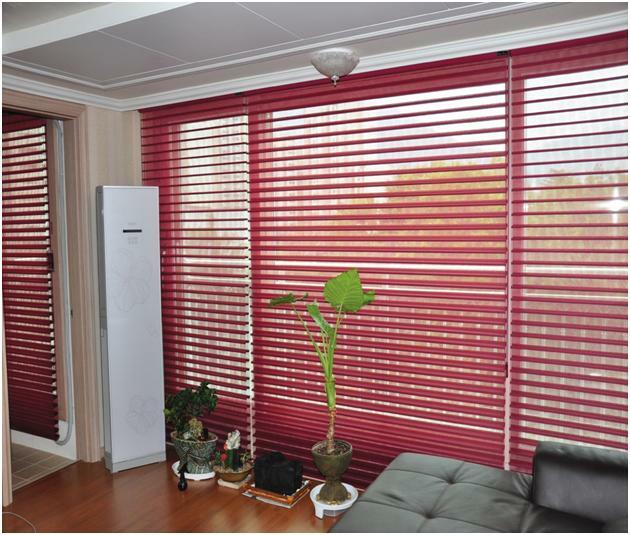 Day lighting efficiency is maximized by diffusing and dispersing sunlight throughout the room, which enables lights to be turned off and energy preserved. 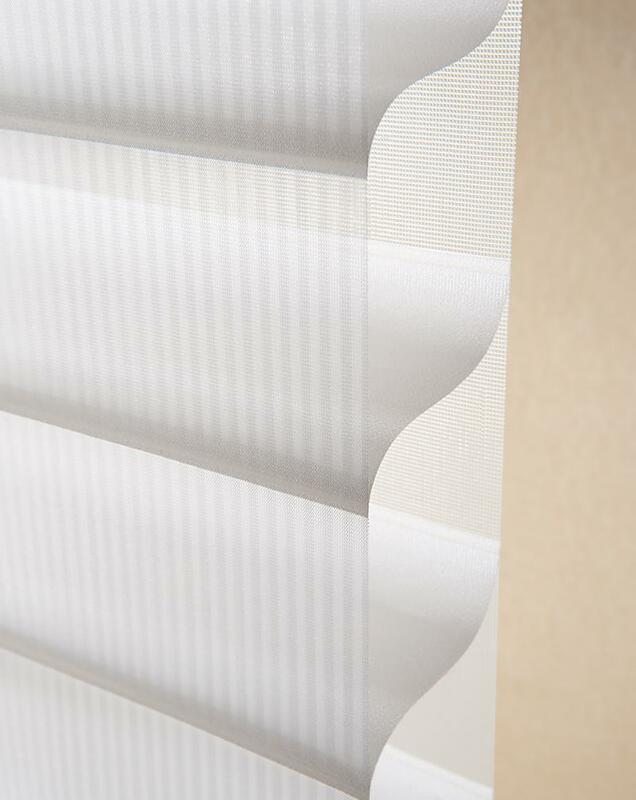 No cords run through the fabric to detract from its simple elegance. 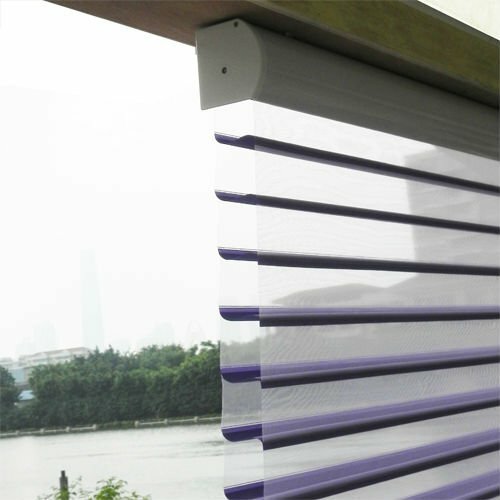 It provides the functionality of two blinds in one shading. 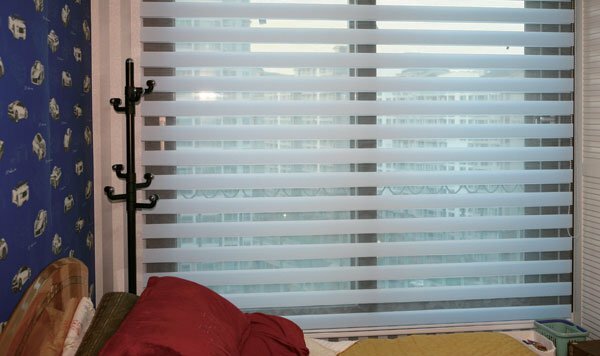 Daytime privacy is achieved with two sheer facings which can be tilted to control the degree of light and heat entering into your home, as well as maintain your view.